vote and leave comments on your question of choice. Having trouble deciding where to go to spend your holiday weekend, who to vote for in the next election, or how to solve a tough brain teaser? 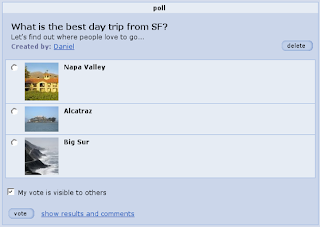 Login to orkut and see what your orkut friends think! You might not see this right away in your favorite communities, but the feature will be rolling out to everyone soon.